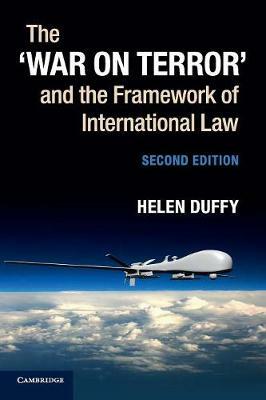 Helen Duffy's analysis of international law and practice in relation to terrorism and counter-terrorism provides a framework for analysing the lawfulness of the many legislative, policy and judicial developments which have proliferated since 9/11. Among the many specific issues she addresses are targeted killings and the death of Osama bin Laden, detentions (including Guantanamo Bay), sanctions regimes, surveillance, extraordinary renditions, the prohibition on 'association' or 'support' for terrorism and the evolving preventive role of criminal law. She also considers the unfolding responses to political and judicial wrongs committed in the war on terror, such as the impact of the courts on human rights protection. While exploring areas of controversy, uncertainty and flux, she questions post-9/11 allegations of gaping holes, inadequacies or transformation in the international legal order and concludes by highlighting characteristics of the 'war on terror' and questioning its longer term implications.